Brand: Coca Cola California Raspberry. Purchase Place: Cub Foods, St. Paul, MN. 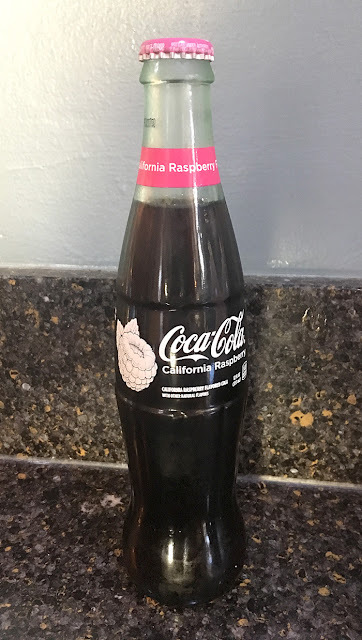 Review: This had that oh-so-recognizable Coca Cola flavor, but then there was a berry "tartness" to it as well. I can't call that tartness good or bad - it was just tart. I don't know that I could have labeled it as "raspberry" had I not know what I was drinking, but it was pretty good. So I guess I'm saying the "raspberry" flavor isn't 100% right, but the raspberry "tartness" was about right. Overall, it was a nice version of Coke!